"I wandered into the Clifton village arcade looking for Hermione's following a recommendation and was met with a beautiful shop and an equally beautiful Hermione. She took the time to understand what I was looking for and afterwards sent me an email with lots of different ideas. 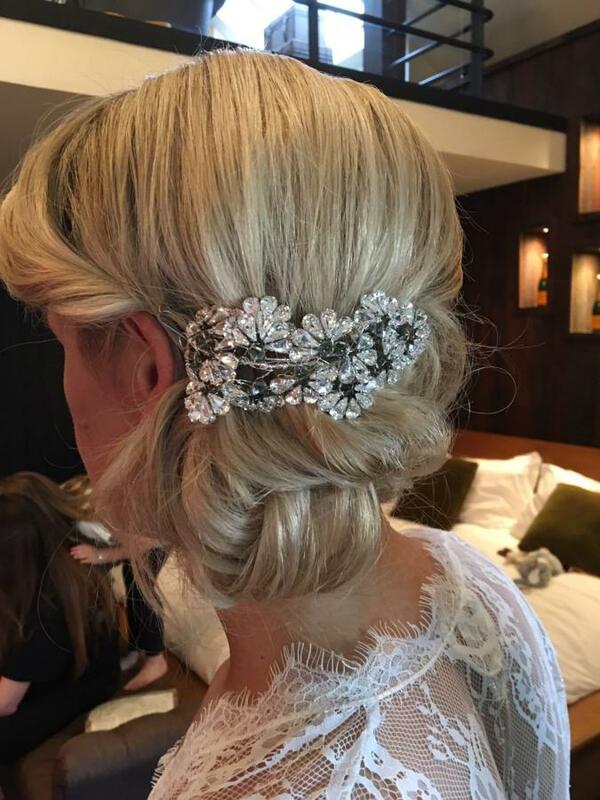 I went back several weeks later and made a decision based on her ideas to bespoke a hair piece that was in display in the shop. My piece was absolutely stunning, exactly what I was looking for, I felt so special wearing it on my big day and received so many compliments. I just need another occasion now to wear it again!!!!" Tara is wearing a bespoke Paris Pin-in piece created by Hermione Harbutt. Thank you Tara for sharing your lovely wedding pictures!